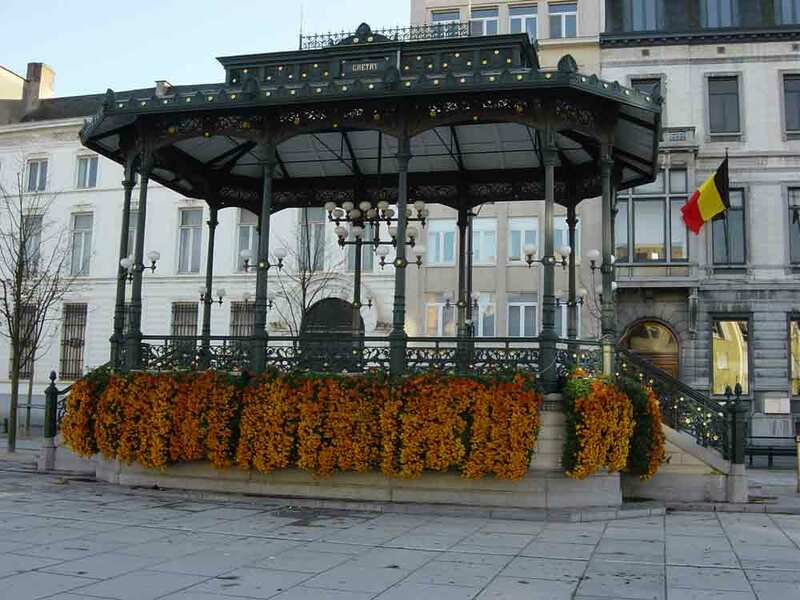 The Kouter is surrounded by stately, mostly nineteenth-century buildings, including the Trade Stock Exchange. 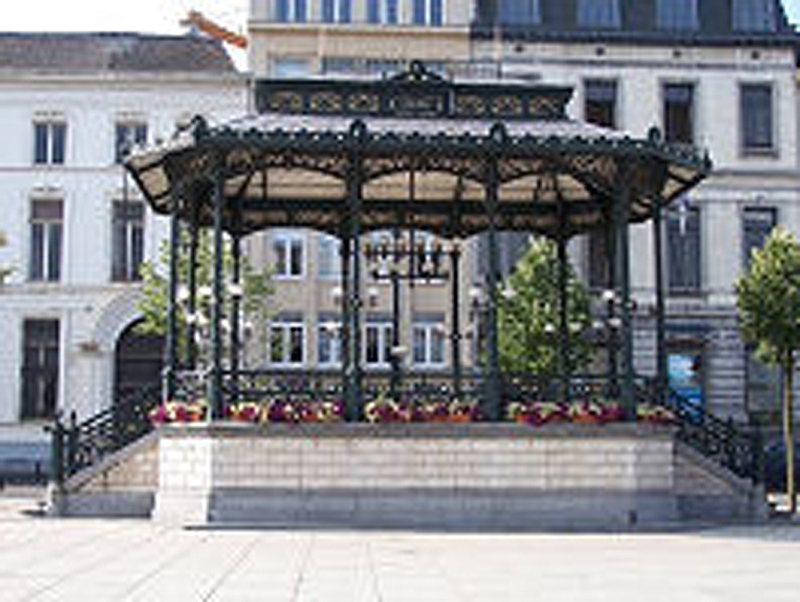 In the square there is a late 19th-century cast-iron kiosk, built to a design by the Ghent architect Adolphe Pauli in 1878. On Sunday, the kiosk served as a stage for concerts for the middle class and on Wednesday common people could also attend. 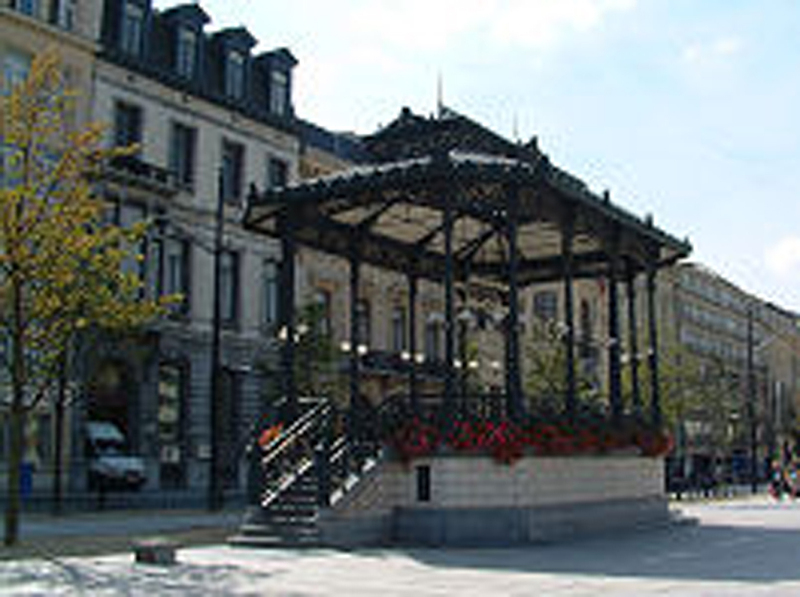 In the 19th century there were six music kiosks in the center of Ghent, now there’s only two left. 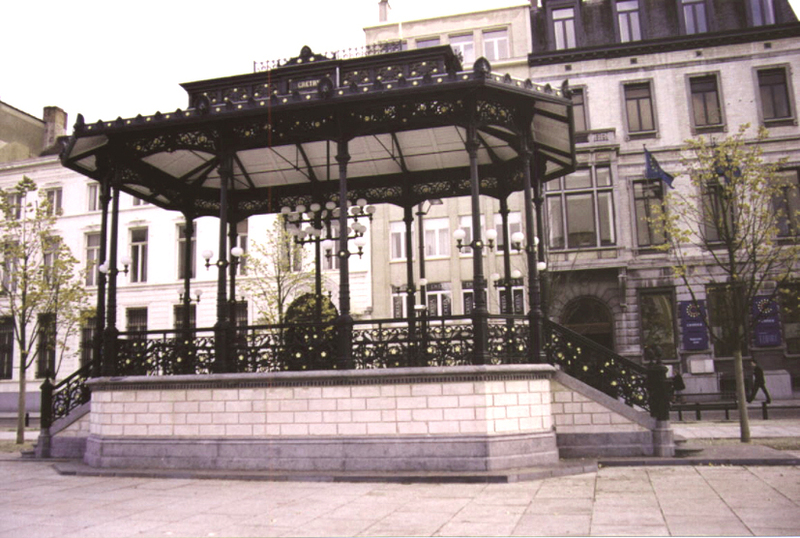 In 1998 the kiosk was refurbished by the company IBT from Oosterzele. The entire structure was coated with a primer coat of ZINGA followed by a topcoat.